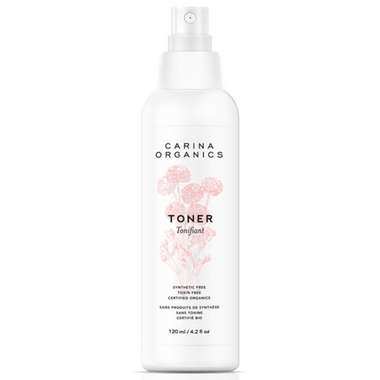 Directions: Apply toner to face daily following your cleansing routine and prior to moisturizing. May also be applied to both the ear and neck area and for make up removal. Ingredients: Filtered Aqua, Pinus banksiana (pine) extract, Glycerin, Matricaria chamomilla (chamomile) flower extract, Urtica dioca (nettle) leaf extract, Taraxacum officinale (dandelion) leaf extract, Trifolium pratense (clover) flower extract, Punica granatum (pomegranate) extract.